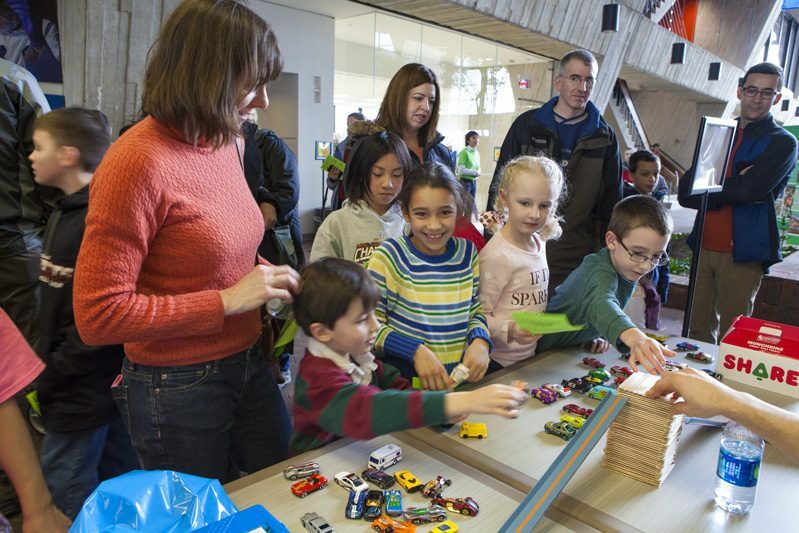 Fermilab’s biggest Open House in decades is almost here: Saturday, Sept. 23, 2017, from 10 a.m to 4 p.m.
We will host tours, demos and hands-on activities for the whole family — there’s a little something for everyone of all ages to do or see. 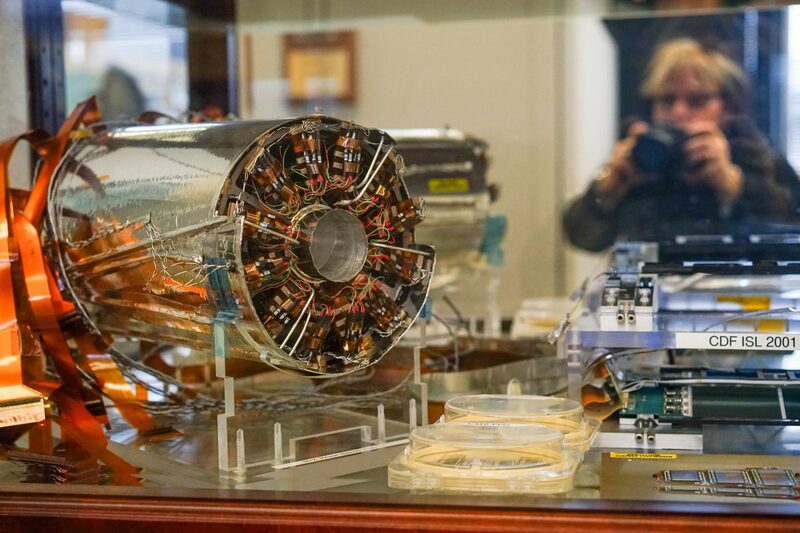 Guests can visit our experiments, including our giant Muon g-2 magnet, learn all about Fermilab’s particle accelerators and experiments, visit the Lederman Science Education Center, see some of our facilities, and watch live video casts with our partners in France, Chile and South Dakota. 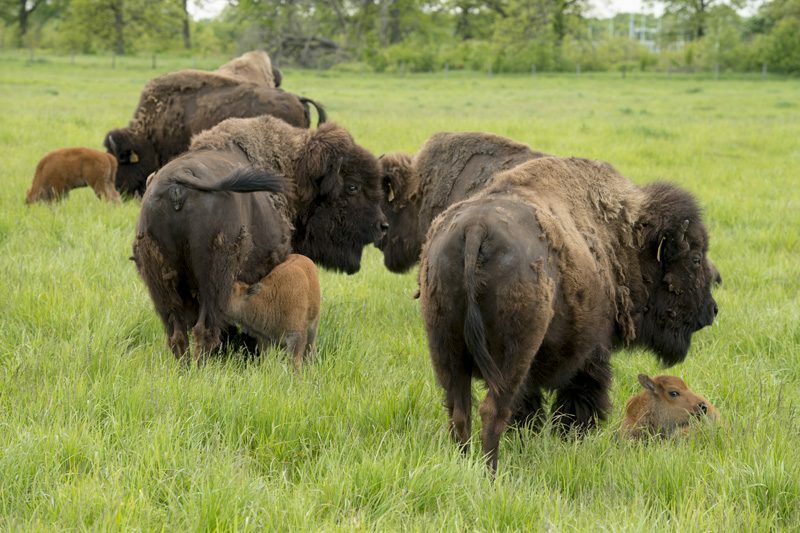 Participants can also have lunch, hike the lab’s restored tall-grass prairie, and say “hi” to our herd of bison — maybe even take in Mr. Freeze’s popular cryogenic show! Enter the Open House from the east via Batavia Road or from the west via Wilson Street. After parking, you will take a short orientation tour, after which you can decide what sites you’d like to see. Note: Registration is closed. If you missed your chance to register, don’t worry! 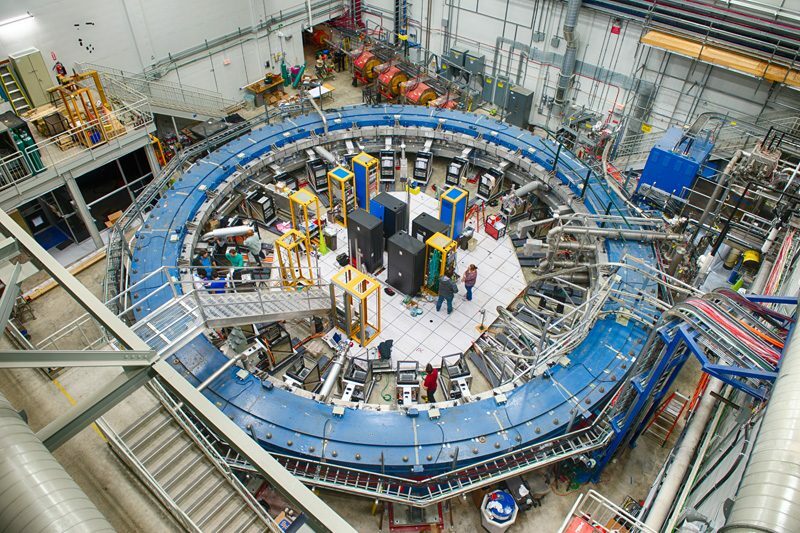 Fermilab is open to the public every day of the week for self-guided tours. 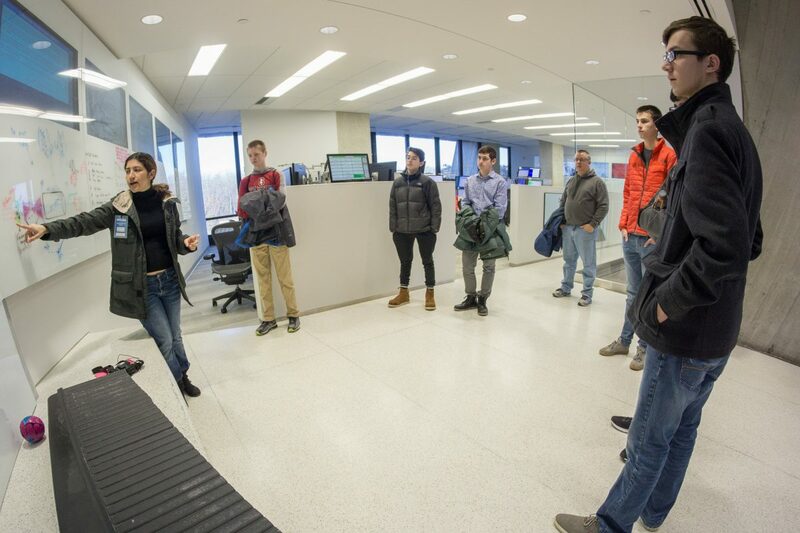 Free drop-in public tours are offered every Wednesday at 10 a.m., and the Ask-A-Scientist tour and lecture program takes place the first Sunday of most months at 1 p.m. And don’t miss Fermilab’s annual Family Open House on February 11, 2018. 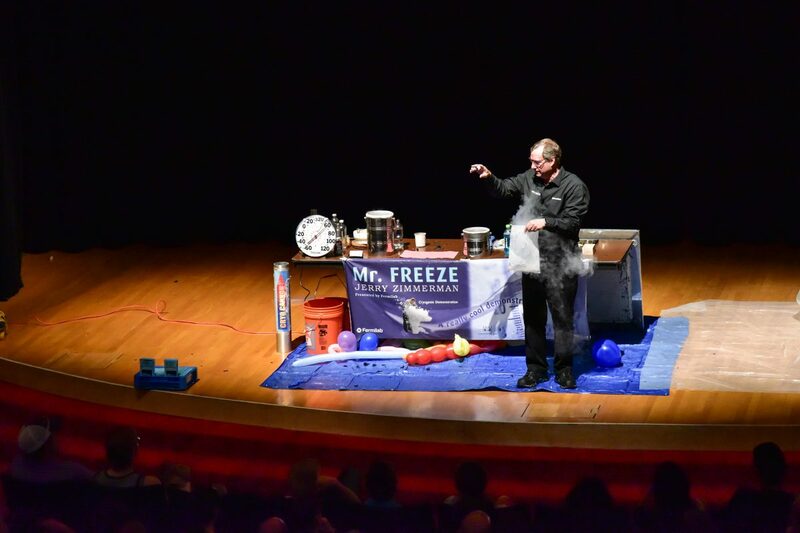 To learn more and register for these and many other STEM education, science and cultural events at Fermilab, visit events.fnal.gov.